Esteban Bourvier has been working for Foodtown since the New Hyde Park store opened in 2000. Now, instead of being behind the meat counter as a butcher he is one of seven meat and deli workers on strike. 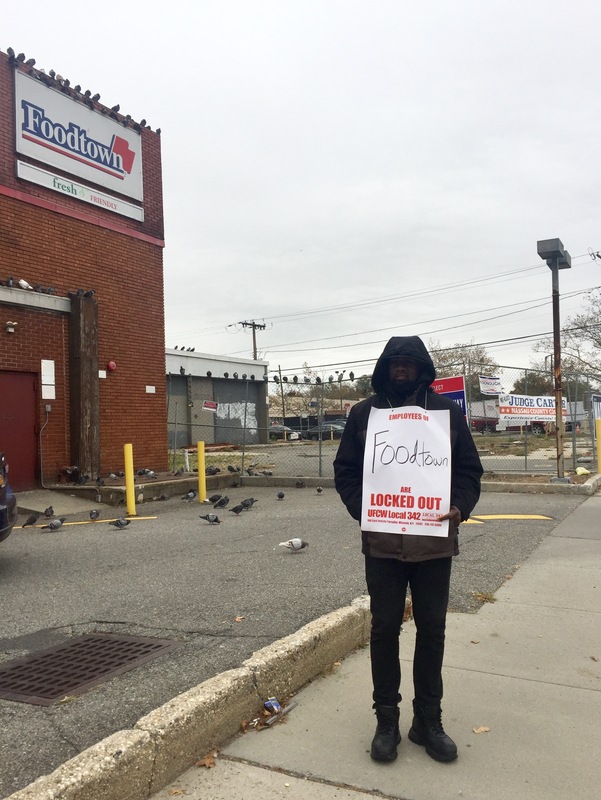 Bourvier and his colleagues are part of a 40-person strike that includes workers from four of the supermarket chain’s five locations, including its Jackson Heights and two Jamaica locations. The workers are part of United Food and Commercial Workers Local 342. The meat and deli workers have been waiting since 2012 for a new contract but have seen no wage increases, according to Kate McDowell, communication director of Local 342. 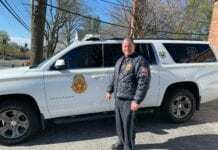 “They’ve been waiting patiently for so long, but finally it became time to strike,” McDowell said. The workers began their strike last Friday, following another failed negotiation with their employer on Thursday. The Ferreira family has owned the supermarket chain since 1975. The Foodtown employees are looking for retroactive wage increases and for premium pay for work on Sundays, the union said, but declined to specify its wage demands. Liz Fontanez, a Local 342 employee walking the picket line alongside Foodtown workers on Hillside Avenue on Thursday, said the workers’ requests are more than reasonable. 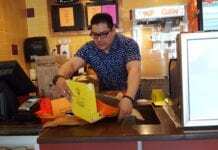 Foodtown customers have been supporting the strikers, both by boycotting the store and bringing hot coffee to the employees they have come to know, Bourvier said. For the workers, the strike is also personal. In his 17 years at Foodtown, Bourvier said he has been a loyal and good worker, never taking sick days or vacation. He is going to show his loyalty and perseverance by striking “as long as it takes” in the cold and rain, he said. Foodtown did not respond to requests for comment.